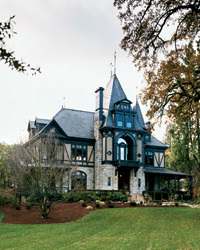 These delicious California Cabernets cover every holiday situation: parties, dinners and gift-giving. 2007 L de Lyeth Cabernet Sauvignon ($13) This Sonoma producer's bottling is more elegant than most reds at the same price. 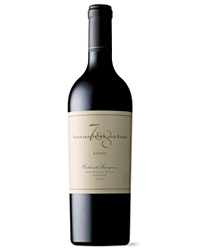 2007 Fineline ($14) The Paso Robles region's warm climate makes this Cabernet especially juicy. 2007 Josh Cellars ($15) A vineyard in the up-and-coming Red Hills AVA provides the grapes for this rich red. 2007 Sequoia Grove Napa Valley ($38) A complete winery revamp has distinctly improved the quality of this longtime producer's wines. 2007 Frog's Leap Napa Valley ($42) Black currant fruit and the dusty note typical of the Rutherford Bench define this impressive wine. 2007 Selene Dead Fred Vineyard ($50) Winemaker Mia Klein's superb, structured red comes from a vineyard named after the owners' beloved cat. 2007 Altamura Napa Valley ($75) The little-known Wooden Valley section of Napa Valley is the source of Altamura’s aromatic Cabernet. 2007 Skipstone Oliver's blend ($95) Star winemaking consultant Philippe Melka blended this plush, powerful red. It's 96 percent Cabernet, though not labeled as such. 2007 Vineyard 7 & 8 Estate ($125) Older vines on the slopes of Napa's Spring Mountain estate supply the fruit for this layered, complex red.